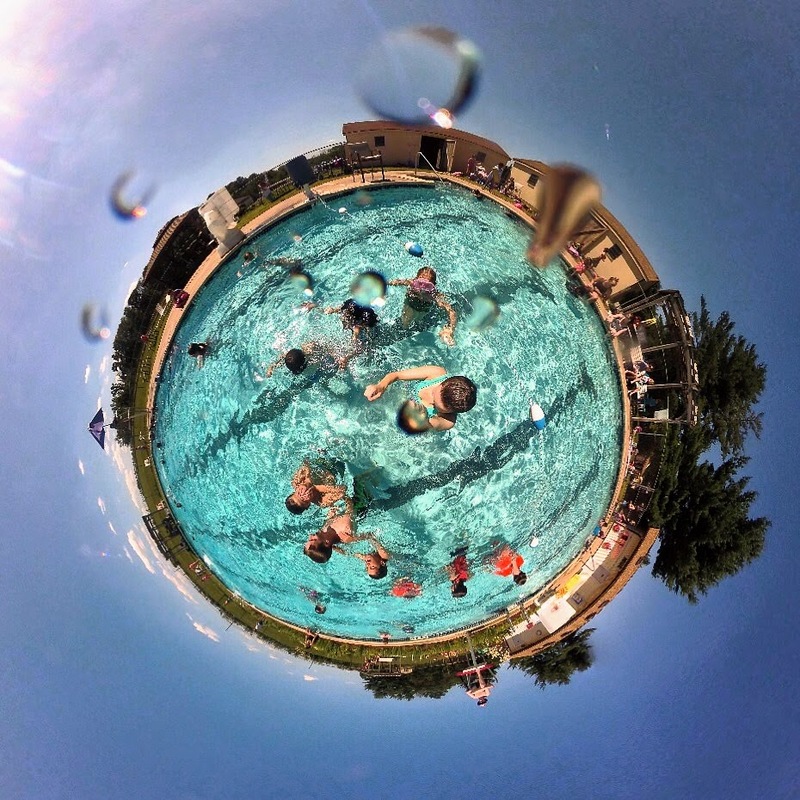 Camp Curiosity Aquatics is home to two swimming pools as well as a water playground and sprinkler area. 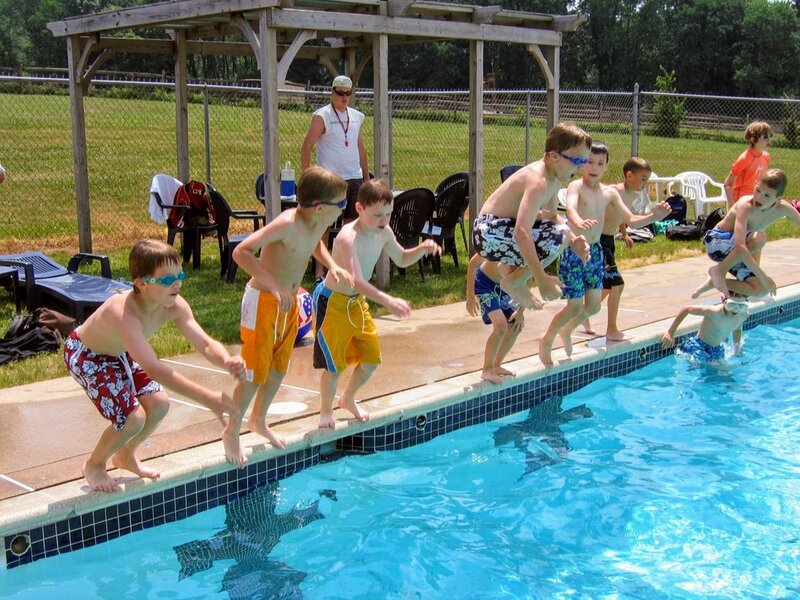 Our main pool is a 25 yard, 5 lane lap pool with a 4-7 foot depth. 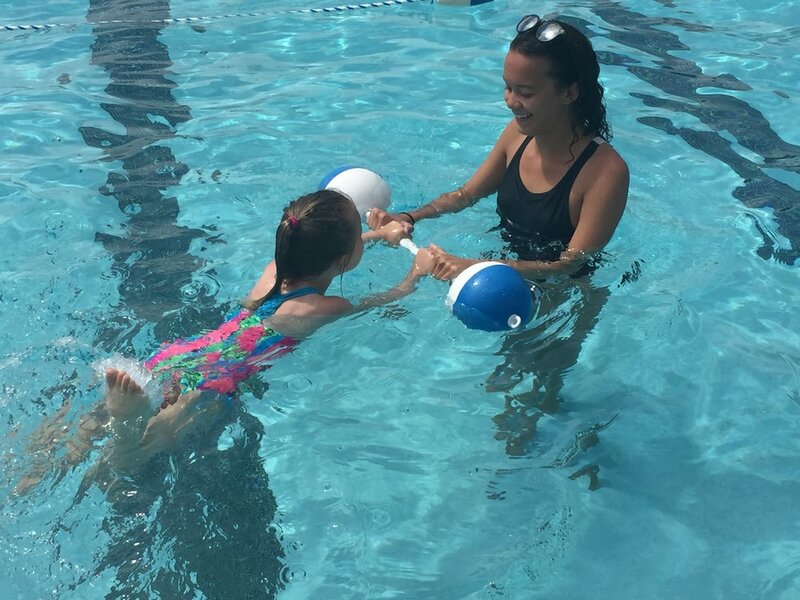 Our low water instructional pool is 1-1/2 feet deep trained campers ages 3-5. 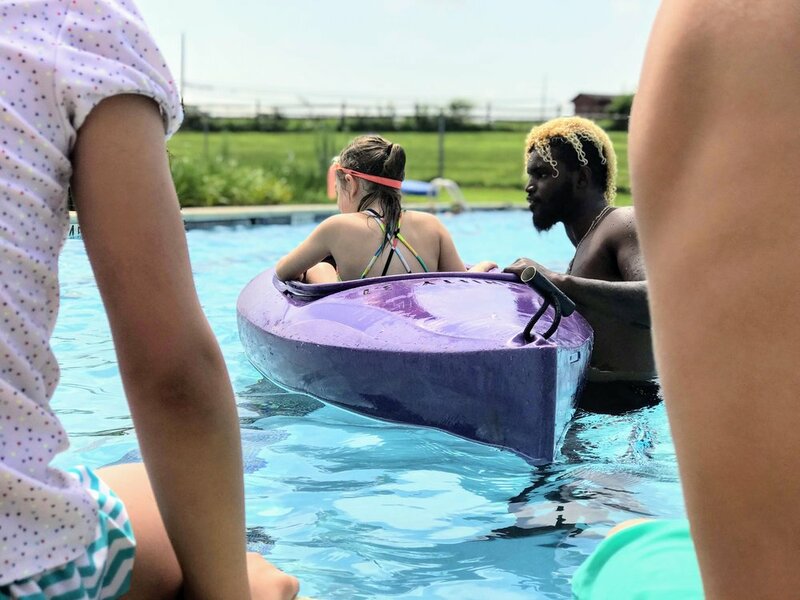 Our water playground is available for groups with children who are not yet bathroom trained and provides a fun way to cool off in the summer with water tables, sprinklers, ride-ons, and more. 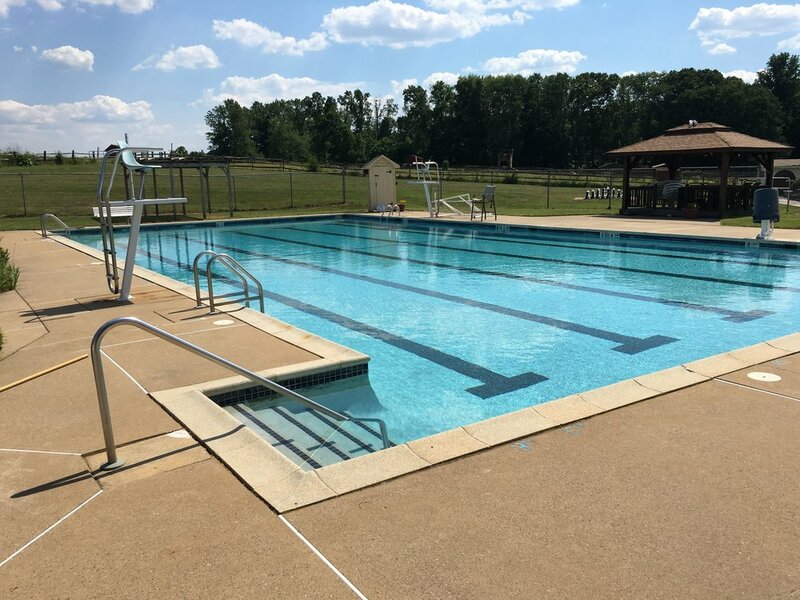 Both pools are staffed, maintained, and supervised by American Red Cross certified and trained lifeguards and water safety instructors. 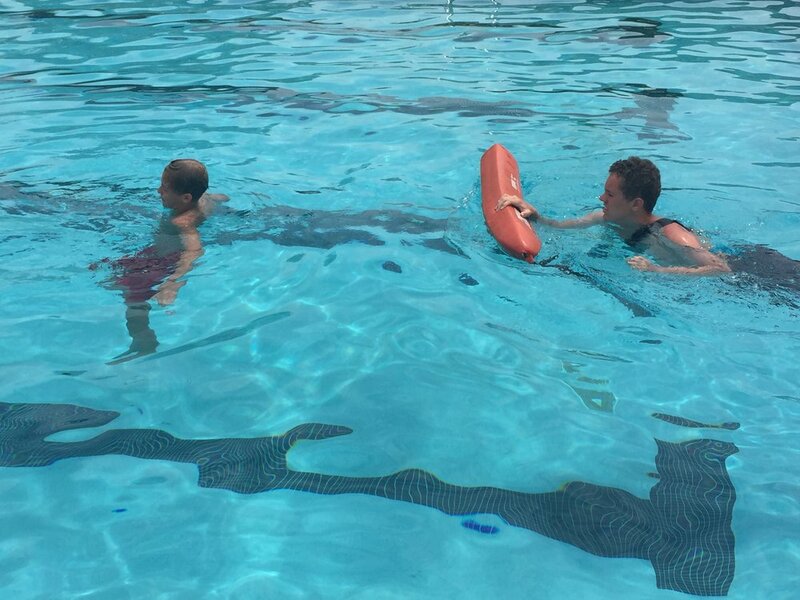 We do not permit flotation devices or diapers in our pools.